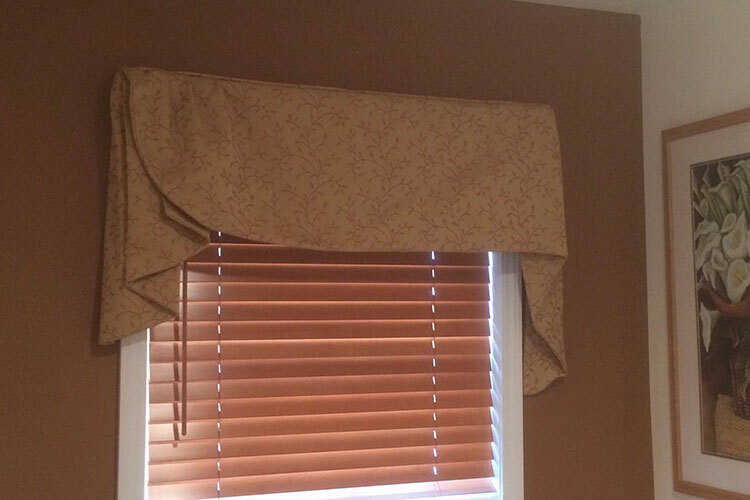 Custom draperies can add warmth and beauty to your home. There are many different drapery styles available to compliment your home decor. 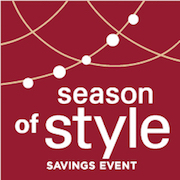 Choose from casual to sophisticated and anything in between. 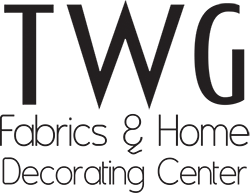 TWG Fabrics & Home Decorating Center design experts will help you select the perfect fabric, color, pleat size and drapery hardware or rod for a complete window fashions look. If you’re looking for soft treatments to combine with your hard window coverings, look no further. 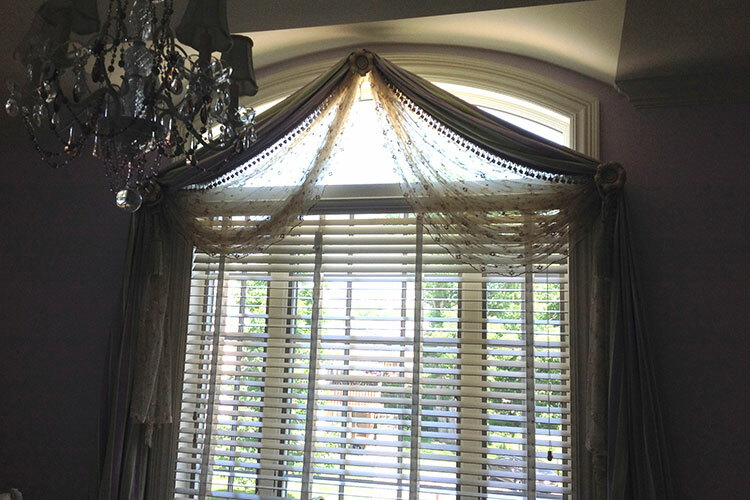 TWG Fabrics & Home Decorating Center recommends the best draperies and top treatments to match your Hunter Douglas blinds, shades, shutters or even curtains. 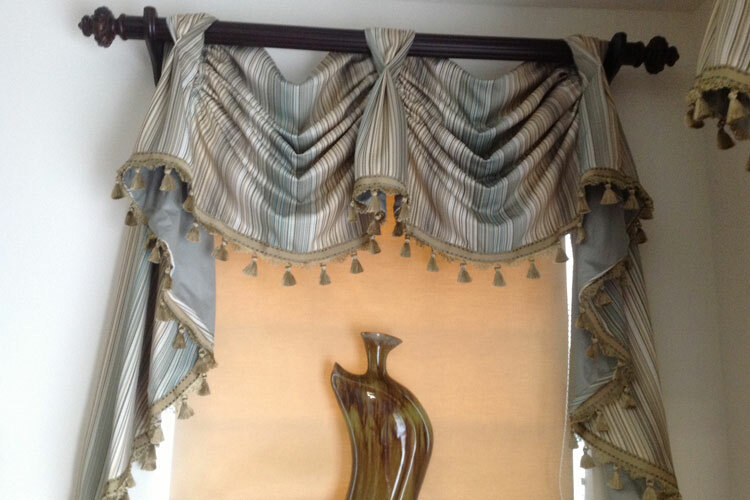 Custom draperies add style and beauty to your home. 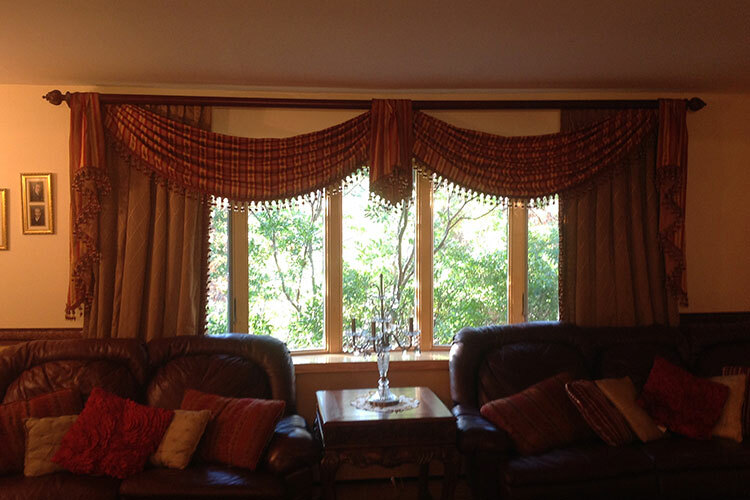 Have a window treatment design idea of your own? 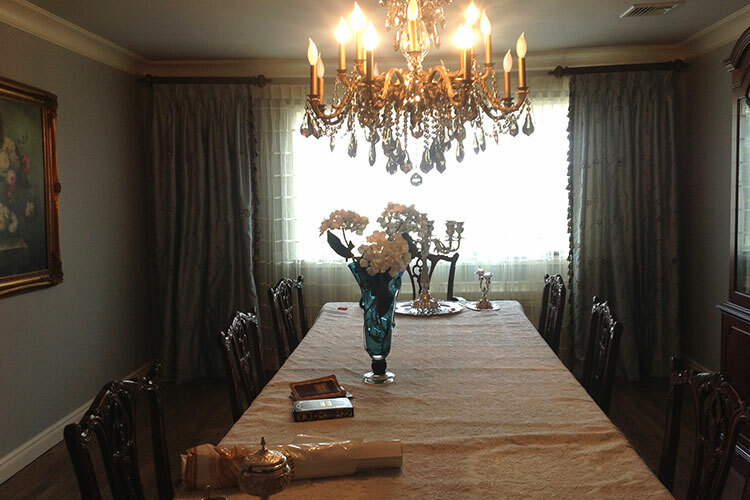 TWG Fabrics & Home Decorating Center works with you to create a custom drapery look using your vision. 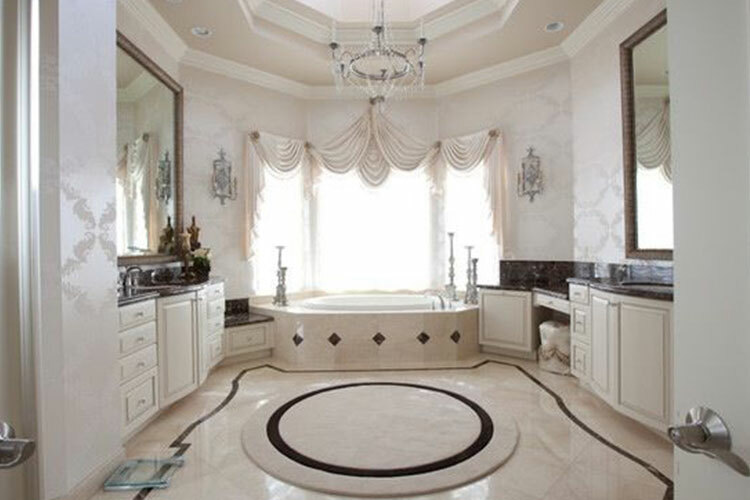 Just bring in a photo or email TWG a picture a design that has inspired you. Not sure how to cover your windows in a casual style or sheer elegance? 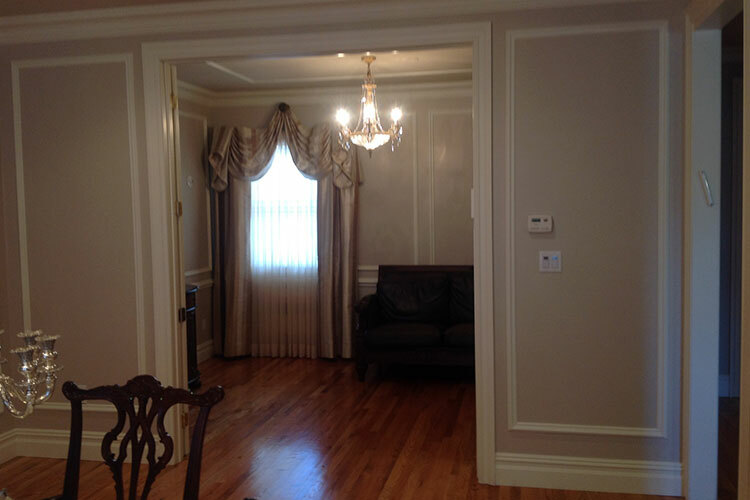 Leave the design and creativity to TWG Fabrics & Home Decorating Center with over 25 years experience. You’ll find endless drapery design possibilities at TWG Fabrics & Home Decorating Center. 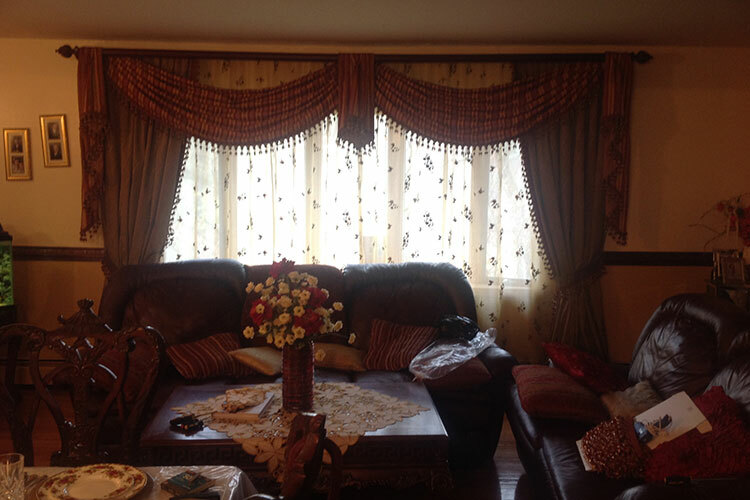 Swags, jabots, cornices, valances, decorative trims and drapery tassel can all be used to fashionably dress your windows. Drapery tiebacks can be added for when you want more of a view. Visit the showroom to see the wide array of fabrics we have on display at TWG. Although the design possibilities are endless, our window treatment experts will help you narrow down your fabric selection. Velvet, cotton, silks, micofibers and more, TWG has it all. Prints, paisleys, solid or stripes, you are sure to find the perfect indoor or outdoor drapery fabric for your next project.